The Venice, Calif.-based startup will also invest in its own original content initiative. It’s hard being — and staying — king of the VCs. I believe we live in a show-based world, and that shows delivered over IP allow for the slow unbundling of television. AppNexus, the ad tech startup that counts Microsoft among its clients, announced today it had raised $75 million in a Series D round led by Technology Crossover Ventures, with participation by Venrock and Tribeca Venture Partners. CEO Brian O’Kelley said the money will go into adding more people and expanding and improving the platform. With this round, the New York City company has raised $140.5 million. You’re Launching a Digital Music Start-Up? In 2012? Really? If you haven’t written the checks yet, stop and read this. The Dollar Shave Club turns heads with its impressive investor list. A new API shows how translated content looks in context and speeds the whole process up. Business networking service LinkedIn had good news to deliver to investors today. Wither the Giants? The Arrogance of Aging Incumbents. Technology forces that bring greater efficiency and transparency to markets simply don’t care about privilege, access, and rolodexes. 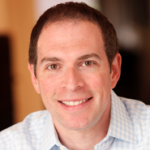 Klout finally confirmed today that it has raised a significant round of Series C funding. Big Name VCs Beg Start-ups: Please, Take Our Money! Buzzword Alert to All Geeks: Please Replace "Real-Time" Web With "Right-Time" Web STAT! Some Twits Chirp From Twitter Conference: @Ev, @Biz and More! What Shall BoomTown Ask the Twits–Oops, I Mean Twitter-Loving VCs–at Chirp Today?